Leeds is a place one’s ever wished for. It’s a perfect place to work and raise a family. A vibrant city with rich architecture and deep industrial past, it is unrivaled in every aspect. Needless to say, it is among the top choices for everyone planning to move and relocate to the United Kingdom. Extending a helping hand to all those looking forward to making their relocation to Leeds happy and worthwhile is our most appropriately planned and delivered relocation services to Leeds. As reputed and dependable movers in Leeds, we are professional and experienced. We are trusted for delivering high-quality removal services every time. At CBD Movers, we undertake the whole spectrum of removal jobs. From undertaking comprehensive house removals to helping business set-ups move quickly and effectively; we are competent in both. Furniture removal is our forte. Delicate belongings, fragile glassware to bulky and robust furniture pieces; we are experienced and equipped to move all. Our Man and Van in Leeds service is an all-encompassing one for a perfect move. 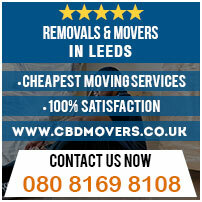 We undertake end-to-end removals in Leeds and offer thorough services from planning, organizing to executing. Our men are proficient in packing, loading, and moving. Our job is not done until we unload, unpack and arrange your new interiors. At CBD Movers we take pride in our resources. We are staffed with the best men and equipped with state-of-the-art machines. We work in close coordination with our clients and work relentlessly until the job is done. Our fleet of vans is well maintained and perfectly overhauled. We hold the required licenses and permissions and are authorized for both local and national removals. Having set the highest standards for removals in Leeds, we are inarguably the most preferred movers in Leeds. We are committed to delivering best-in-class removal services at affordable rates. We do so by economizing our costs rather than cutting and compromising on quality. As the cheapest movers in Leeds, we beat every written removal quote by 10%. Bank upon our widely trusted and reputed removal services! 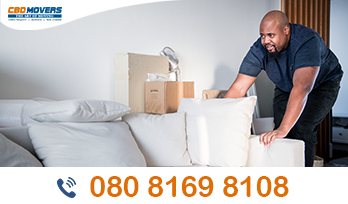 At CBD Movers, we promise timely, safe and effective relocation services for house, office and furniture removals. Our men are courteous and punctual and our removal services are carefully planned and meticulously executed. Get in touch with us today for the cheapest Man and Van in Leeds service. We are there to help you 24X7, 7 days a week!